Description: Let us play the Minecraft action game – Minecraft In War! topweb is a nickname of a Minecraft fan, and create Minecraft In War. Are the Minecraft players ready to become the Minecraft miner? Your position is at a maze that is narrow, short…. You are standing among a lot of the dangerous creatures, which are zombies. They are more and more dangerous, so they are extremely crowded. The unique weapon is useful for you to attack against the enemies. 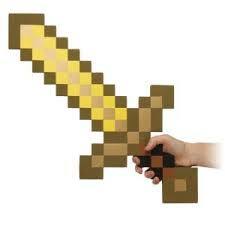 This weapon is the wooden pickaxe. Try to live out as long as possible to overcome a level. As the final zombie disappears, your mission will be complete. Have fun! Instructions: A, Left arrow, Right arrow, Up arrow, and Down arrow keys are used to enjoy this game.